It has been faaaar too long since my last blog post. Don't get me wrong, I love posting and sharing, but time seems to get away especially when you have a toddler. My little girl turned one on my 30th birthday the other day, and so we had a huge combined birthday party. We are still recovering from it, having all been struck down with a nasty cold as well, but I just had to sit and craft today. I have a ton of housework, but I always do- and so I decided to not give a hoot, and participate in this week's make it monday! Yay for me! That's all for today- I have runny noses to mop up... yes, plural! 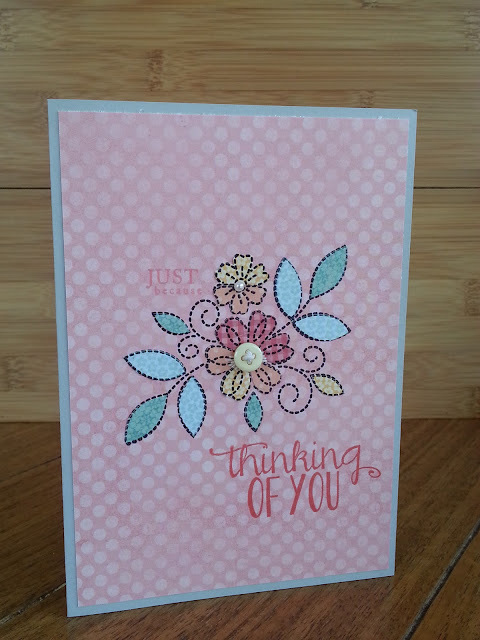 Sweet & pretty - love your piecing! 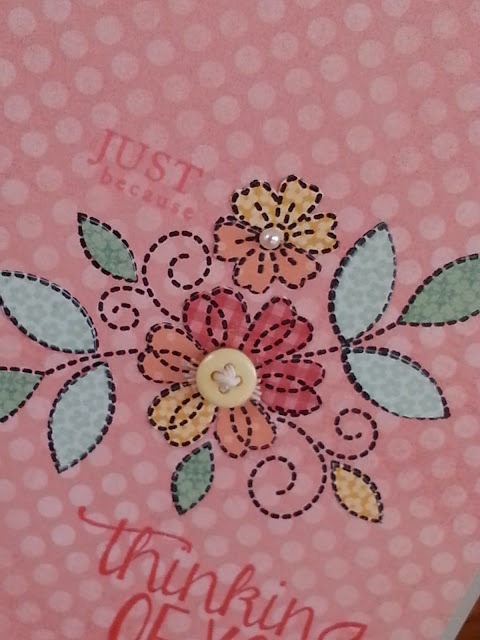 Cardmaking wins over housework every time in my home! Such a sweet card, with lovely papers. Love that stampset and don't use it enough. Your fussy cuts are perfection! This is BEAUTIFUL! Great idea to use the stitched flowers. PERFECT for this because this technique reminds me of quilting. So pretty! I had to PIN it! Oh wow! Thank you Laura Jane!